Customers expect the information on your website, in your store, and in your catalog to be consistent and accurate. A recent study from Omni-Channel Insights reveals 95% of consumers are cross-channel shoppers. To meet the demands of the hyper-connected and empowered consumer, businesses are rushing to establish additional sales and marketing channels. And, delivering a superior shopping experience across all of those channels requires exceptional product content that goes beyond simple product descriptions. The creation and management of exceptional product content is a large task and content that is shared across multiple channels must be consistent and accurate. Product Information Management (PIM) solutions help acquire, manage and publish product information across all internal departments and with external partners and suppliers, creating a single, trusted source of product information across all relevant touch points. A PIM system also improves supplier collaboration by allowing your suppliers to deliver their product data to you on time and in the format you need. Once the information is received from the suppliers, the product marketers can review and enhances the data with rich attributes, marketing descriptions, images and other content. From there, the content is ready for publication straight from a central repository of approved product content. 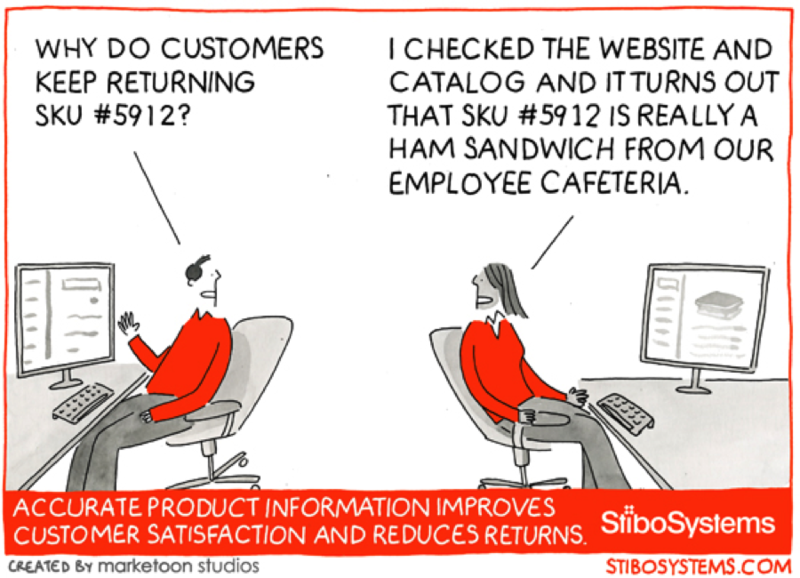 That means all of the information your customers see about your products will be accurate, up-to-date and reliable. A PIM system will reduce product returns by ensuring only relevant and accurate information reaches the customer, leading to customer loyalty and overall customer satisfaction.